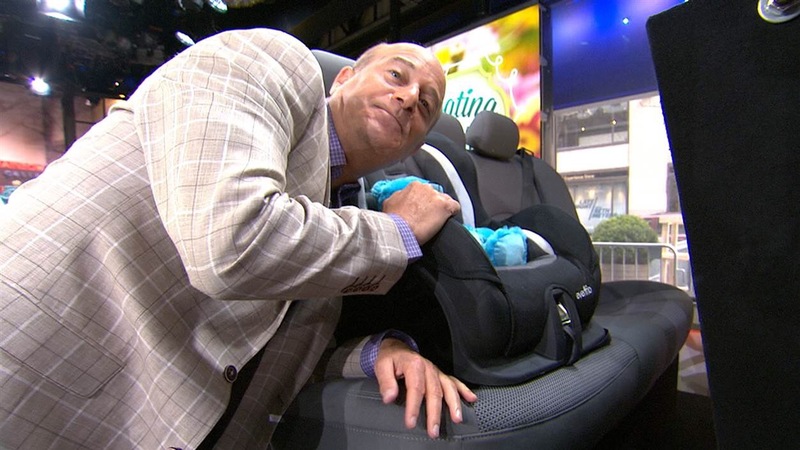 In case you are wondering what to get your favorite “mom” for Mother’s Day, our favorite “Innovation Insider,” Steve Greenberg, appeared on The Today Show yesterday with the latest gadget tips. I pitched a product to him a few weeks ago to bring on the show, but it was rejected. This is payback time. This is Steve’s new sports coat. He bought it at Robert Hall. Steve told everyone he just came back from a vacation in Turkey. Judging from this photo, it looks like he spent time in Italy. Did you know Steve was a seamstress? Steve pretending that the toilet paper that was still hanging from him was part of the presentation. Kathie Lee caught Steve in a thong. Steve bends down to show off new ear plugs. All kidding aside, click here to see some of the greatest gadget ideas for Mom. Thanks Steve. This entry was posted in digital, senior lifestyle, tech and tagged steve greebnberg, The Today Show by loiswhitman. Bookmark the permalink.